Methylcobalamin (Methyl B-12) is better absorbed and retained than other forms of B12 (e.g., cyanocobalamin). 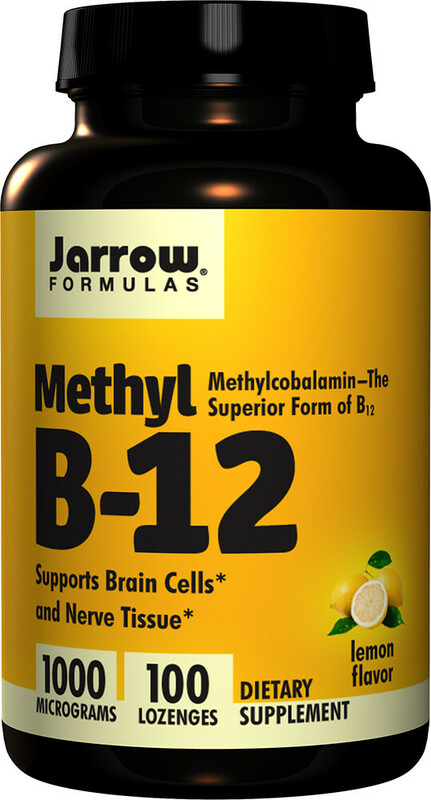 ** Methyl B-12 supports nerve tissue and brain cells, promotes better sleep and reduces homocysteine to the essential amino acid methionine. ** Also, vegetarians/vegans typically require B12 supplementation.